We can also provide and install safety mirrors behind splashbacks in kitchens. 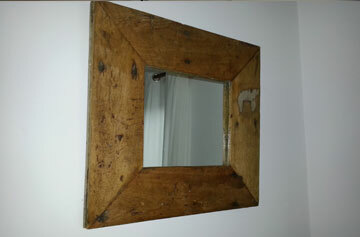 If you have an old mirror frame, you can also bring it to us and we would provide you an appropriately sized mirror for fitting into it. Aluminium framed mirrors in 6 different colours – white, black, ivory, chrome, brushed silver and gold. 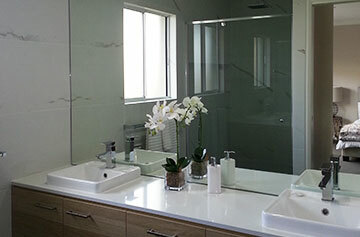 Frameless mirrors having basic polished edges (this option is very popular in Sunshine Coast for being uber-modern and cost-effective). 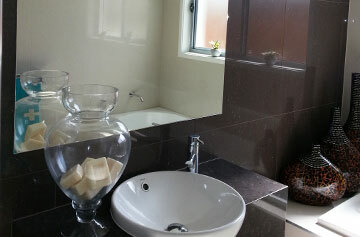 Frameless mirrors with bevelled edges (10mm to 30mm all around). All mirror types are fully customisable and can be tailored as per your requirements. The standard thicknesses of our mirrors are 4mm and 6mm, and all of them are provided with 4mm thick safety vinyl. 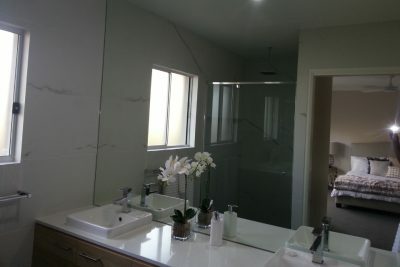 Our professional would also come to your house or office for installing the mirror properly. 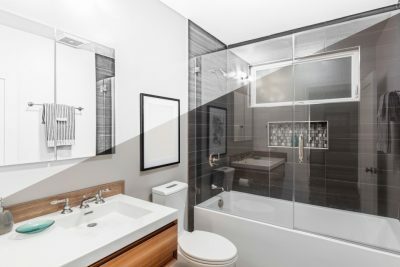 Does the old style mirror in your bathroom seem like it lacks brilliance? Do not worry, for you are with the right people already. Elite Glass Services is one of the leading suppliers and installers of affordable and high quality Polished Edge Bathroom Mirrors (manufactured to meet the Australian Standards) in Sunshine Coast. Backed by an experience of 15 years, our team of qualified professionals can provide you exactly what you need, be it for your home or office bathroom. Not only we would customise the product as per your available space and decor of your bathroom, but also visit your residential or commercial place for performing the installation work. Using our Polished Edge Ensuite Mirror, you can add the opulent charm to your shower room that you have always wanted to. Featuring a simple and neat finish, this highly customisable mirror option is veruy easy to clean and maintain. 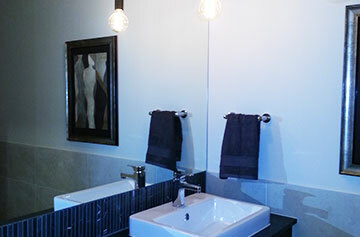 We can even personalise it our customers in Sunshine Coast so that it complements the surroundings of their ensuite. Our professional glaziers would also handle the installation task for you. 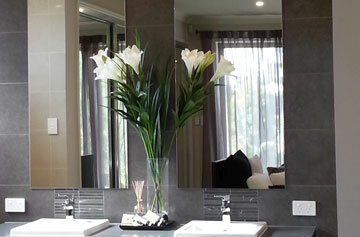 So bring home our Polished Edge Ensuite Mirror and impart the missing aesthetic beauty to your shower space. Elite Glass Services provide top grade Safety Bathroom Mirrors manufactured as per Australian Regulations to customers all throughout Sunshine Coast. Having their edges 10mm to 30mm bevelled all around, the mirrors offer a high degree of safety unlike conventional bathroom mirrors with sharp edges. Besides that, they also feature a backing of 4mm dense safety backing and are resistant to water, moisture and acid. Just convey us your requirements carefully, and we would customise the product just like you have visualised it. 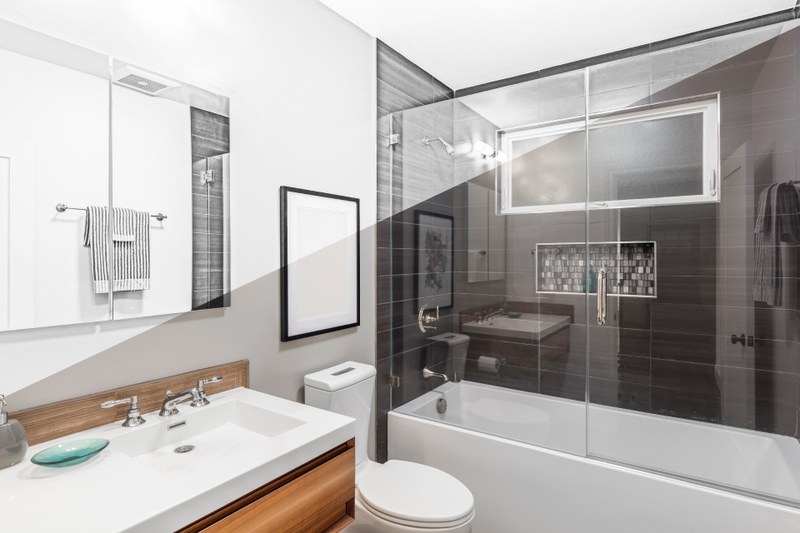 In addition to that, we would also ensure an expert installation by taking accurate measurements of the area where the mirror is supposed to be hung. 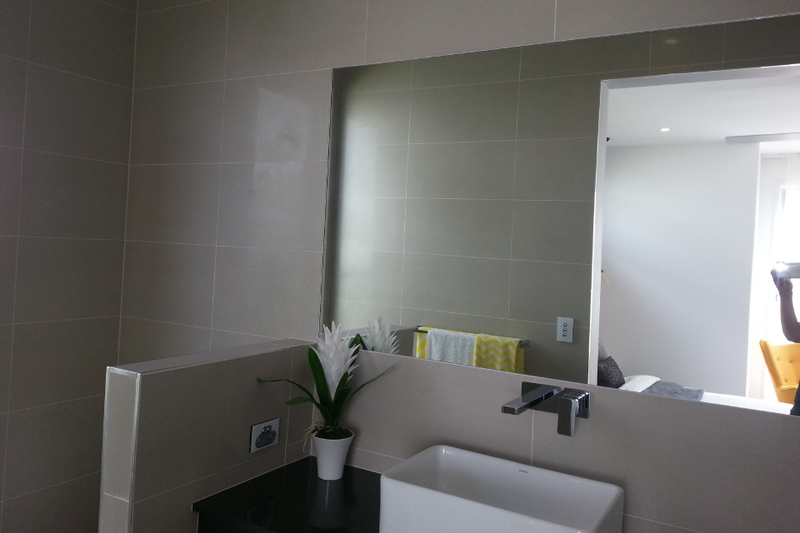 If you are looking for customised framed mirrors in Sunshine Coast, we can offer the right product tailored as per your requirements. Our elegant and high quality framed mirrors will not only aid you in adding an exotic style to your room, but also enhance the existing decor. Our aluminium framed mirrors are available in 6 different colours – white, black, ivory, chrome, brushed silver and gold, and in standard thicknesses of 4mm and 6mm. All of them feature a backing of 4mm dense safety vinyl. Whether you need a stylish reflector for your dining room, or a graceful framed mirror for your bedroom, our professionals will consult you carefully and make sure that your requisites are taken care of exclusively.